10G Ethernet standard, there are about 3 types of physical interfaces: SFP and SFP+, defined 10G Ethernet over fiber standard transmission, the transmission distance from 300m to 40km, defined to run in symmetric copper 10G Ethernet standard, the transmission distance is less than 15m, internal servers for data center connectivity between applications, defined as a medium, based on 10G Ethernet twisted-pair standard, want to transfer from at least 100m, the standard currently being developed. Based on standard SFP and SDH SFP 10G Ethernet optical interface definition, based on fiber type, transmission distance is further subdivided into 7 types. 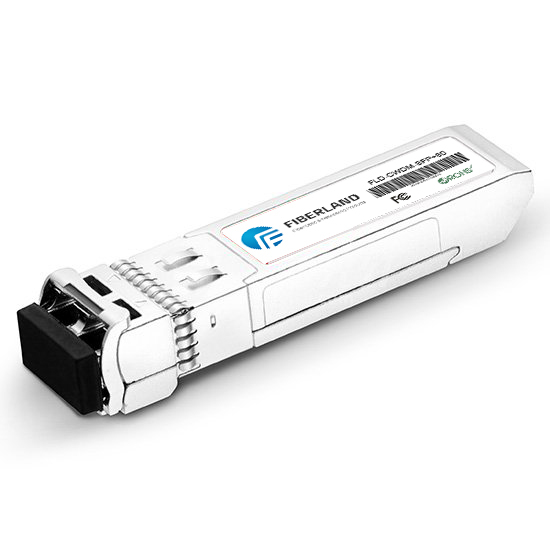 SDH SFP Transceiver uses coarse wavelength division multiplexing (CWDM) technology, 12.5Gb/s data stream is divided into 1.25Gb/s data stream transmitted in optical fiber, the use of 8B/10B encoding, so the effective data traffic is 10Gb/s. This interface type has the advantage of more flexible applications so that you can either use multi-mode fiber, used in transmission distance is short on price-sensitive application, single-mode fiber can also be used to support the application of a longer transmission distance. 10GBASE-SR of the physical coding sub-layer (PCS) using efficient 64B/66B code on the line transfer rate is 10.3 Gb / s. 10GBASE-SR 850 nm lasers used in the multi-mode fiber transmission distance is 300 m; 10GBASE-LR and 10GBASE-ER, respectively, using 1310nm and 1550nm laser, the single-mode fiber transmission distance are 10 km and 40 km, suitable for transmission within the metropolitan area, is the current mainstream.